The Chromospheric Lyman-Alpha Spectro-Polarimeter, or CLASP, payload developed by joint team from United States, Japan, Spain and France and led by the NASA Marshall Space Flight Center, was successfully flown on a NASA Black Brant IX suborbital sounding rocket at 1:01 p.m. EDT (11:01 a.m. MDT), September 3, from the White Sands Missile Range in New Mexico. 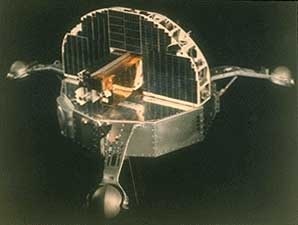 The 1270 pound payload flew to an estimated altitude of 167 miles. Preliminary analysis shows that data was collected by the payload. Conducting science in space is never simple. Imagine trying to study a specific region of the sun, for example, from a vantage point some 93 million miles away, probing that area at a level of precision less than 0.1 percent — with less than five minutes to do the job. That’s the task facing scientists preparing to launch NASA’s CLASP instrument, a joint effort between the United States, Japan, Spain and France, to the edge of space on September 3. 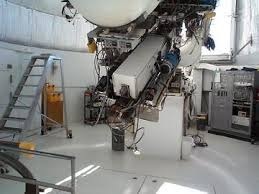 CLASP is shorthand for the Chromospheric Lyman-Alpha Spectro-Polarimeter, a high-tech telescope that will obtain unprecedented observations during that tiny window of opportunity, when it will study the sun for some 300 seconds. During that time, scientists anticipate CLASP will deliver the first-ever measurement of the magnetic field in the sun’s middle layers, the upper chromosphere and the transition region. To accomplish this, “it will measure the Hanle effect polarization of Lyman-Alpha in the solar chromosphere,” said Amy Winebarger, principal investigator for CLASP and a researcher in the Science Research Office at NASA’s Marshall Space Flight Center in Huntsville, Alabama. 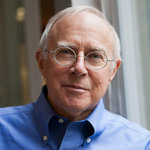 Winebarger, Cirtain and their team are no strangers to this research. 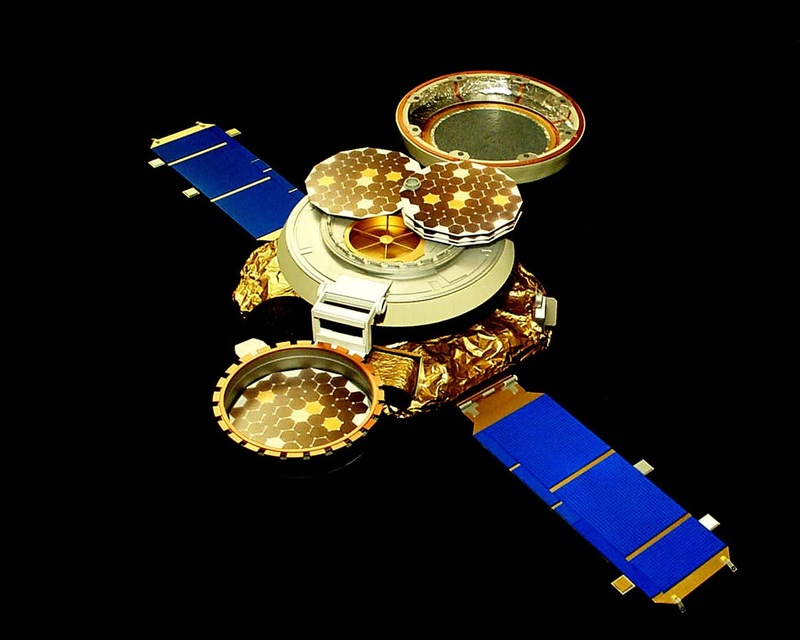 They developed two previous sounding-rocket solar experiments, the High Resolution Coronal Imager, or Hi-C, which launched in 2012, and the Solar Ultraviolet Magnetograph Instrument, or SUMI, which completed its second research flight in 2012. Cirtain also was project scientist for Hinode, the joint Japanese-American mission launched in 2006 to study the sun. Hinode’s Solar Optical Telescope conducted some of the same spectropolarimetric observations CLASP will make — but peered much deeper into the sun’s photosphere, or surface, studying more readily accessible optical light and vector magnetic fields. CLASP owes a lot to those previous missions — and to its international team of contributors, Winebarger said. It is based on pioneering theoretical research by Javier Trujillo-Bueno and his team at the Instituto de Astrofísica de Canarias in Santa Cruz de Tenerife, Spain. SUMI and Hi-C provided the inspiration for CLASP’s optical layout, electronics and electrical interface. 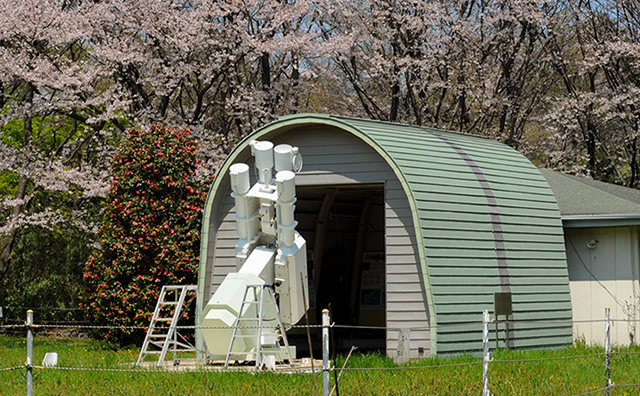 Its internal structure and optics were provided by the National Astronomical Observatory of Japan in Tokyo. 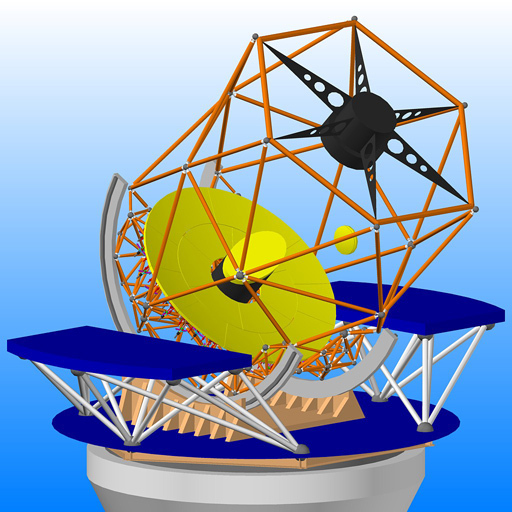 Additional optical contributions were made by the Institut d’Astrophysique Spatiale in Paris. Finally, the cameras that will image the sun, delivering more stable, high-speed images and less noise than their predecessors, were developed in-house at Marshall by researchers in the Engineering Directorate’s Space Systems Department. The flight experiment will ride on a Black Brant IX sounding rocket launched from White Sands Missile Range in New Mexico. 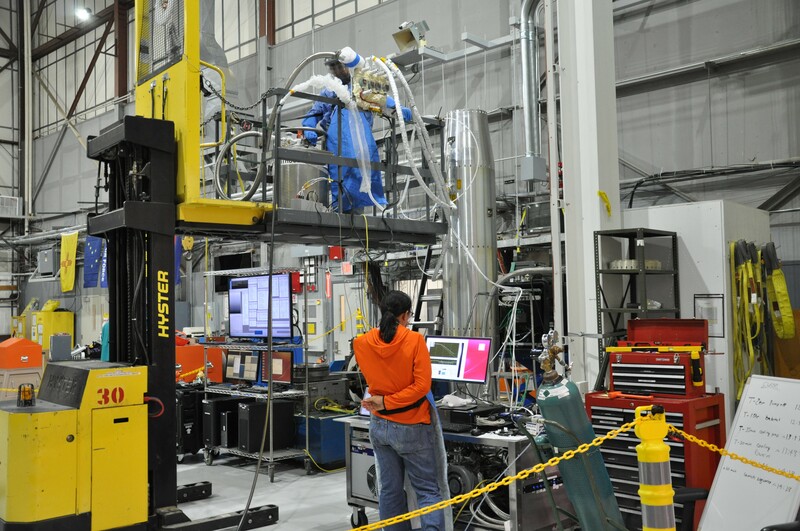 CLASP is supported through NASA’s Sounding Rocket Program at the agency’s Wallops Flight Facility on Wallops Island, Virginia, which is managed by NASA’s Goddard Space Flight Center in Greenbelt, Maryland. 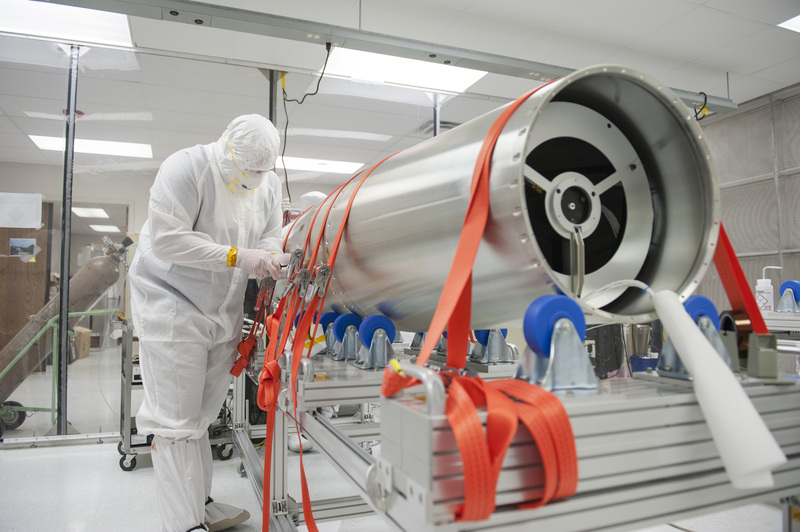 NASA’s Heliophysics Division manages the sounding-rocket program. The mission is a joint effort between NASA, the Japan Aerospace Exploration Agency headquartered in Chofu, the Instituto de Astrofísica de Canarias and the Institut d’Astrophysique Spatiale. 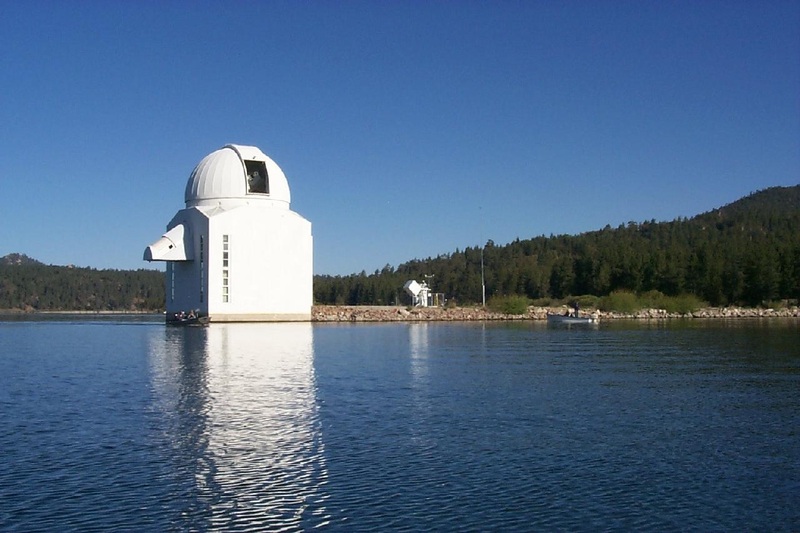 Additional partners include the Lockheed Martin Solar Astrophysics Laboratory in Palo Alto, California, and the University of Alabama in Huntsville. 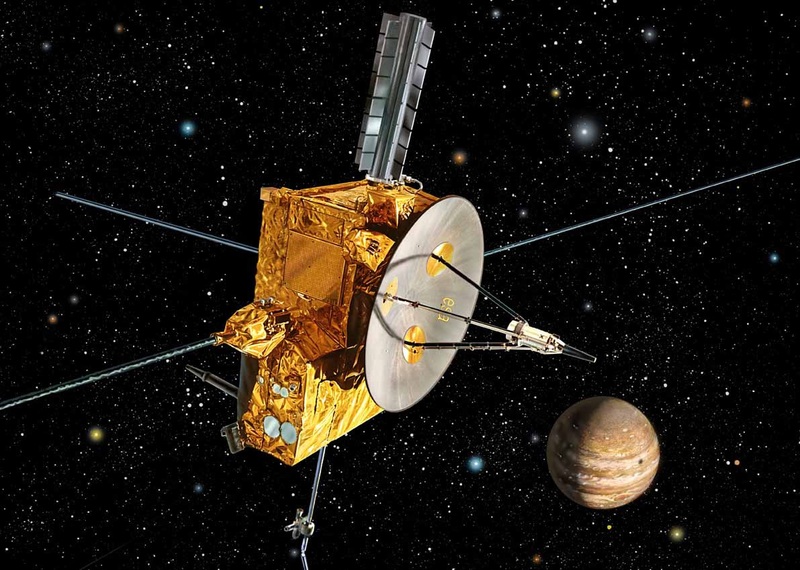 Learn more about NASA space science and heliophysics research at http://www.nasa.gov. 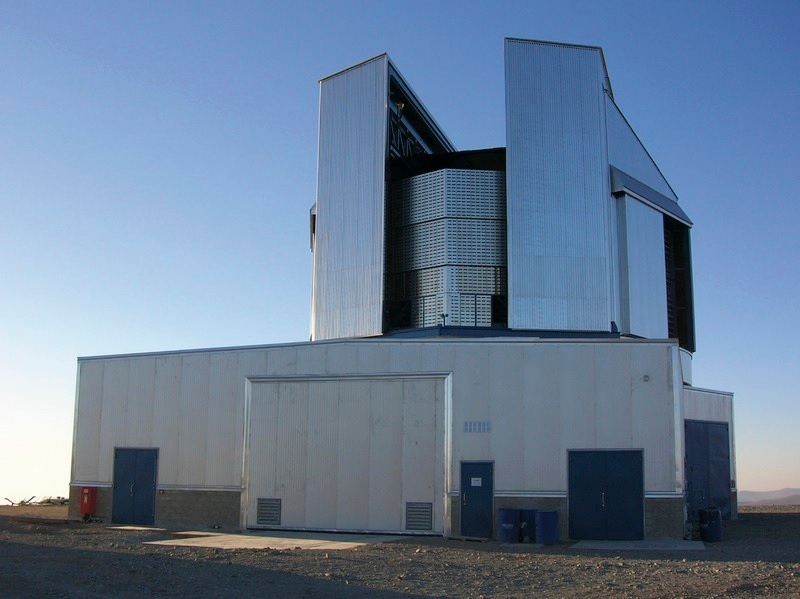 A team of astronomers has used the High Dispersion Spectrograph on the Subaru Telescope to conduct spectroscopic observations of Sun-like “superflare” stars first observed and cataloged by the Kepler Space Telescope. The investigations focused on the detailed properties of these stars and confirmed that Sun-like stars with large starspots can experience superflares. 1. More than half the observed 50 stars show no evidence of binarity (that is, they are not binary stars). The team confirmed the characteristics of the target stars as similar to those of the Sun. 2. On the basis of the Kepler data, superflare stars show somewhat regular, periodic changes in their brightnesses. The typical periods range from one day to a few tens of days. Such variations are explained by the rotation of the star and its starspots. As shown in Figure 1, the stars seem to become dimmer when their starspots are on their visible sides. Moreover, the timescales of the brightness variations should correspond to the stars’ rotation speeds. Spectroscopic observations allow observers to estimate the rotation velocity from the broadening of absorption lines (Figure 2), and confirm that a velocity derived from spectroscopic data matches the brightness variation timescale as the star rotates. In addition, the measured rotation velocity of some target superflare stars is as slow as that of the Sun. 3. Based on solar observations, astronomers know that if there are large dark star spots on a stellar surface, the “core depth” (the depth and width of a spectral line) of the Ca II 854.2[nm] (ionized Calcium) absorption line becomes shallow. Using this, they investigated the core depth of Ca II 854.2 [nm] line, and found that superflare stars have large starspots compared to sunspots (Figure 3). The results of these observations and analysis confirm that stars similar to the Sun can have superflares if they have large starspots. 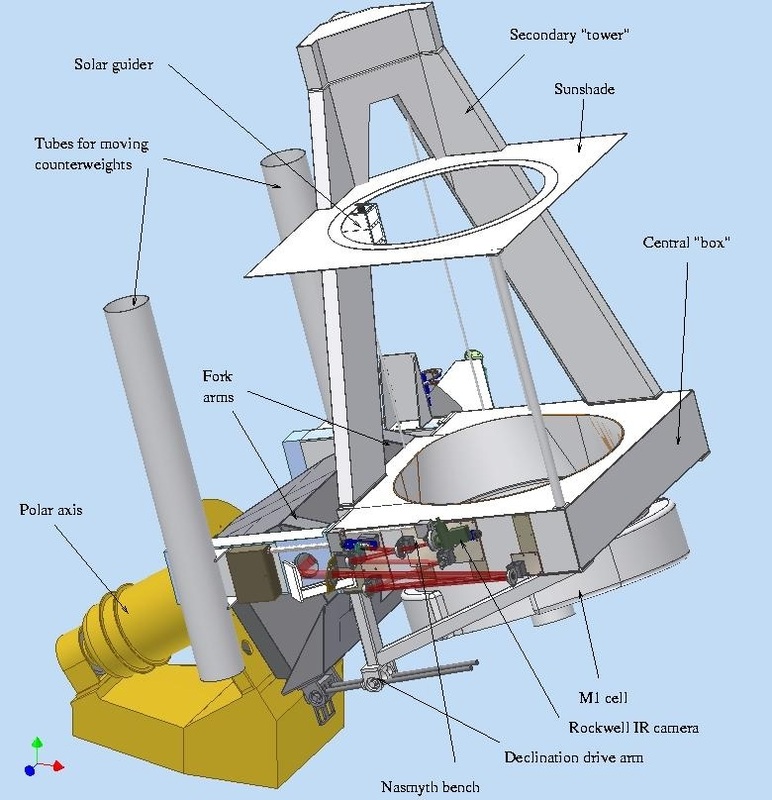 In the future, in addition to the continuing spectroscopic observations with Subaru Telescope, the team will conduct observations with the Kyoto University’s Okayama 3.8m telescope, which is now under construction. This will allow them to investigate more detailed properties and changes in long-term activity of superflare stars. This research is based on the following two research papers. Notsu, Y., Honda, S., Maehara, H., Notsu, S., Shibayama, T., Nogami, D., and Shibata, K.
This work was supported by the Grant-in-Aids from the Ministry of Education, Culture, Sports, Science and Technology of Japan (No.25287039, 26400231, and 26800096). The core extends from the sun’s center to about a quarter of the way to its surface. Although it only makes up roughly 2 percent of the sun’s volume, it is almost 15 times the density of lead and holds nearly half of the sun’s mass. Next is the radiative zone, which extends from the core to 70 percent of the way to the sun’s surface, making up 32 percent of the sun’s volume and 48 percent of its mass. Light from the core gets scattered in this zone, so that a single photon often may take a million years to pass through. The convection zone reaches up to the sun’s surface, and makes up 66 percent of the sun’s volume but only a little more than 2 percent of its mass. Roiling “convection cells” of gas dominate this zone. Two main kinds of solar convection cells exist — granulation cells about 600 miles (1,000 kilometers) wide and supergranulation cells about 20,000 miles (30,000 kilometers) in diameter. The photosphere is the lowest layer of the sun’s atmosphere, and emits the light we see. It is about 300 miles (500 km) thick, although most of the light comes from its lowest third. Temperatures in the photosphere range from 11,000 F (6,125 C) at bottom to 7,460 F (4,125 C) at top. Next up is the chromosphere, which is hotter, up to 35,500 F (19,725 C), and is apparently made up entirely of spiky structures known as spicules typically some 600 miles (1,000 km) across and up to 6,000 miles (10,000 km) high. After that is the transition region a few hundred to a few thousand miles or kilometers thick, which is heated by the corona above it and sheds most of its light as ultraviolet rays. At the top is the super-hot corona, which is made of structures such as loops and streams of ionized gas. The corona generally ranges from 900,000 F (500,000 C) to 10.8 million F (6 million C) and can even reach tens of millions of degrees when a solar flare occurs. 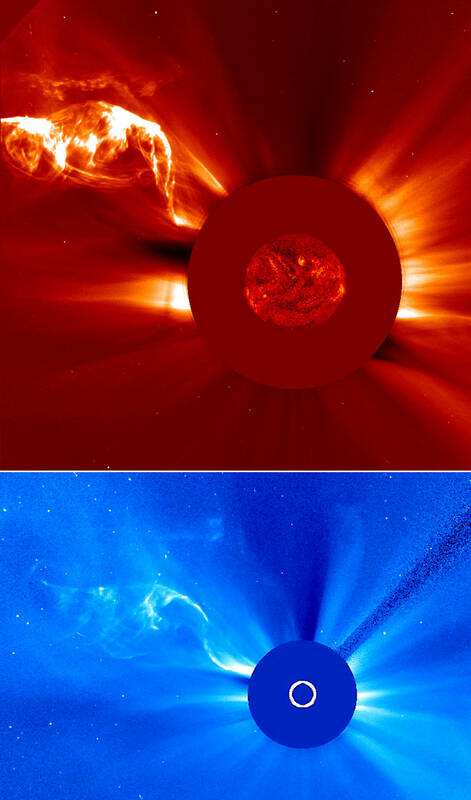 Matter from the corona is blown off as the solar wind. Just like most other stars, the sun is made up mostly of hydrogen, followed by helium. Nearly all the remaining matter consists of seven other elements — oxygen, carbon, neon, nitrogen, magnesium, iron and silicon. For every 1 million atoms of hydrogenin the sun, there are 98,000 of helium, 850 of oxygen, 360 of carbon, 120 of neon, 110 of nitrogen, 40 of magnesium, 35 of iron and 35 of silicon. Still, hydrogen is the lightest of all elements, so it only accounts for roughly 72 percent of the sun’s mass, while helium makes up about 26 percent. 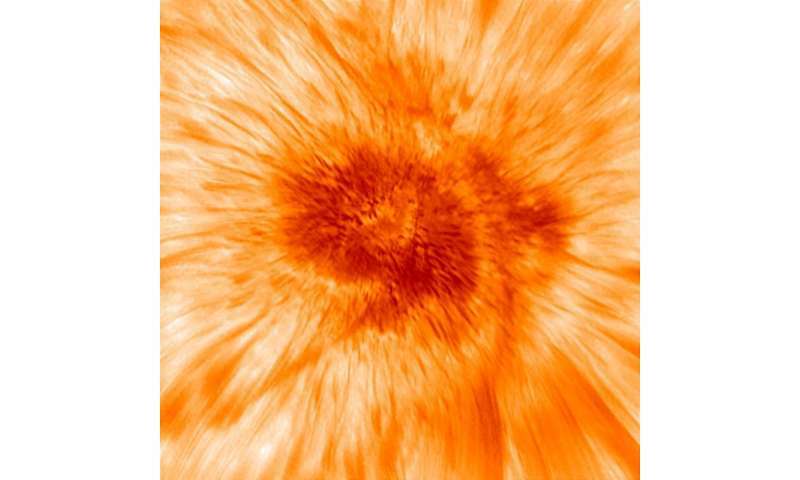 The number of sunspots varies as solar magnetic activity does— the change in this number, from a minimum of none to a maximum of roughly 250 sunspots or clusters of sunspots and then back to a minimum, is known as the solar cycle, and averages about 11 years long. At the end of a cycle, the magnetic field rapidly reverses its polarity. One of the most important solar missions to date has been the Solar and Heliospheric Observatory (SOHO), which was designed to study the solar wind, as well as the sun’s outer layers and interior structure. 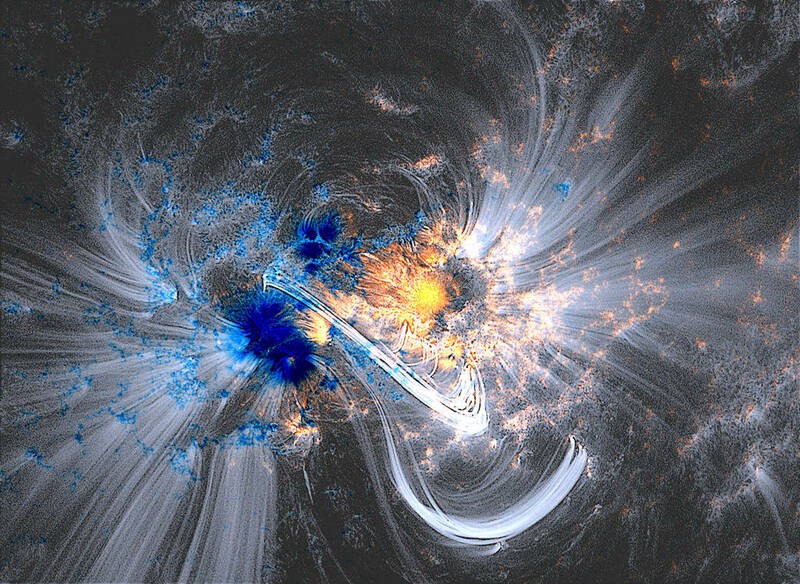 It has imaged the structure of sunspots below the surface, measured the acceleration of the solar wind, discovered coronal waves and solar tornadoes, found more than 1,000 comets, and revolutionized our ability to forecast space weather. Recently, NASA’s Solar Dynamics Observatory (SDO), the most advanced spacecraft yet designed to study the sun, has returned never-before-seen details of material streaming outward and away from sunspots, as well as extreme close-ups of activity on the sun’s surface and the first high-resolution measurements of solar flares in a broad range of extreme ultraviolet wavelengths.